Want to save time and money on skip hire in the Moorgate and Liverpool Street area? We have the solution! We provide builders waste removal Moorgate building contractors and homeowners can count on for flexibility and reliability. All at competitive prices. Our builders waste removal service is perfect for building and DIY jobs of all sizes, including rip-outs and office refurbishments. Why go to all the effort of loading a skip yourself, applying for a skip permit and wrestling with parking and access restrictions when we can provide you with an on-demand wait and load service to take all your waste away? In most cases we are able to arrange collection the same day and bookings are in two hour slots so you’ll know exactly when to expect us. You only pay by the load so our same day and efficient service is not only more convenient but can also be much more cost effective than hiring a skip. 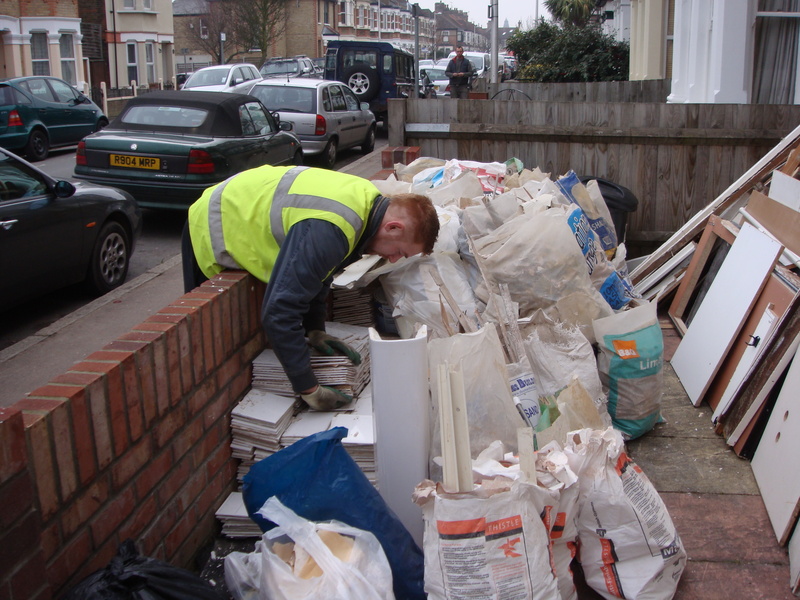 We are licensed waste carriers so you can rest easy knowing your builders waste will be properly disposed of. For your added peace of mind we are also fully insured. To discuss your requirements for builders waste removal Moorgate EC2 give us a call on 0208 504 7390 today. We’ll be more than happy to offer a free, no obligation quote and provide the ideal service for your needs. Or for a fast online quote send us your details using our simple online form and we’ll get back to you in a jiffy.